The US Navy claims its ships have been harassed by Iran’s Revolutionary Guard Corps in the Persian Gulf on multiple occasions. On Sunday, Tehran denied that these incidents occurred. Last week, Pentagon officials claimed that the USS Firebolt was intercepted by Iranian attack craft while operating in international waters in the Persian Gulf. According to the US Navy, this was, at a minimum, the 31st encounter of its kind since January. “We’ve seen an uptick in confrontations by Iranian vessels in the Arabian Gulf,” said Army Gen. Joseph Votel, the top US commander in the region, according to The Hill. On Sunday, Brigadier General Masoud Jazayeri, deputy chief of staff of Iran’s armed forces, dismissed the claims, adding that Tehran has acted in accordance with international law. 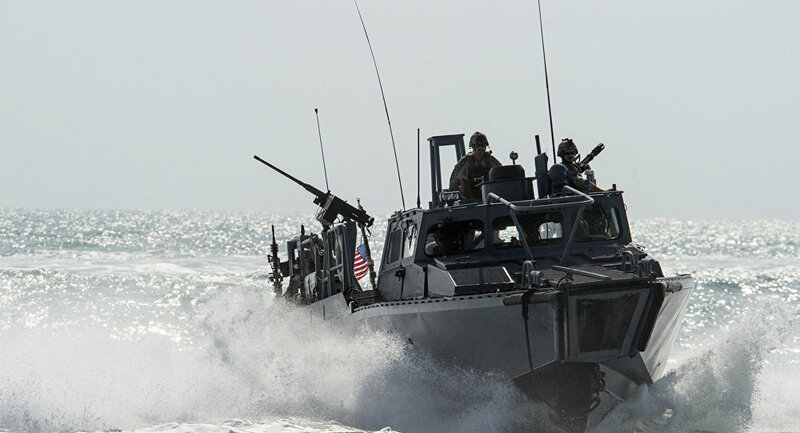 “Iranian boats continue to act based on defined standards and are well aware of the international laws and regulations, so the claims are not only untrue, but stem from their fear of the power of Iran’s soldiers,” he said, according to Military.com. He added that Tehran will continue to act normally, despite US claims of aggression. “Iran’s marine corps will never be stopped by the propaganda of extra-regional enemies and their vassals in the region in guarding the Islamic Republic of Iran’s sea borders and economic interests,” Jazayeri said. In addition to the Firebolt, Washington claims that the USS Nitze was intercepted by four Iranian vessels while sailing through the Strait of Hormuz. Following this encounter, similar incidents occurred with the USS Squall, USS Stout, and USS Tempest. Earlier this year, two US Navy patrol vessels drifted into Iranian waters in the Persian Gulf. Crewmembers were apprehended by the Revolutionary Guard in an incident that nearly sparked an international crisis in the midst of the Iran nuclear negotiations. Iranian defense minister Gen. Hosein Deghan defended Tehran’s actions, maintaining that it would perform similar intercepts as often as necessary. “If any foreign vessel enters our waters, we warn them,” he told Tasnim news agency, “and if it’s an invasion, we confront.